Learn who your target customer is, and find out how to attract them online. 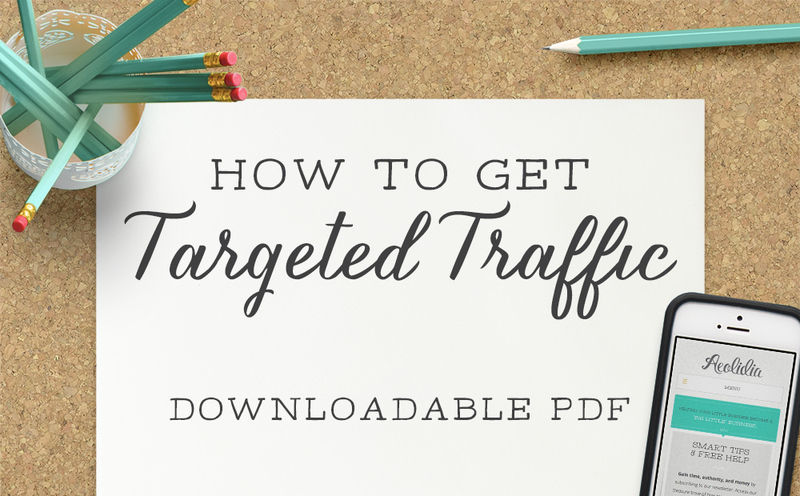 Your guide to getting targeted traffic is on its way! “Traffic” is how we refer to the flow of people onto and through our websites. If you have low quality traffic, you may get hundreds of thousands of people on your site, with only a few remaining there to purchase. High quality traffic will give you a lot of sales with fewer people visiting. This guide will help you find the right people and craft a plan for successfully reaching out to them. What motivates your target customer to buy?